Fans at New York Comic Con received a special surprise at the Spider-Man: Into the Spider-Verse panel. 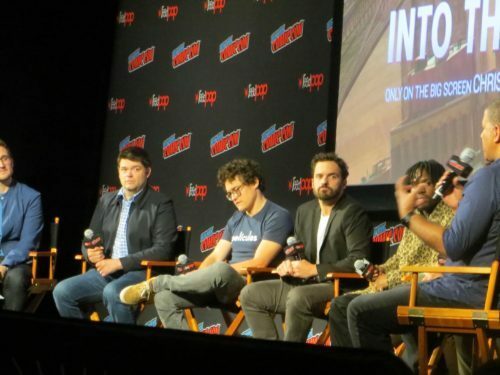 After joining the panel, executive producers Chris Miller and Phil Lord revealed fans would get to see the first 35 minutes of a rough cut of the film. Audience members were asked to not spoil any specific plot points, but we can confirm for fans that from what we saw Miles Morales stays true to his comic counterpart with a great voice performance from actor Shameik Moore. 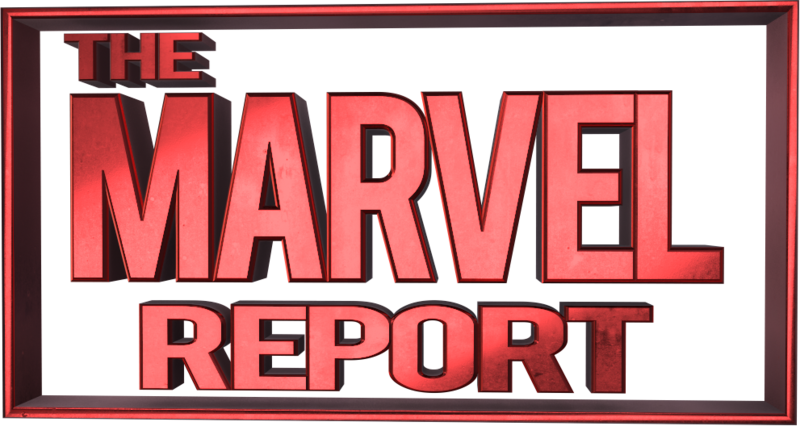 Early on in the film, we’ll be introduced to several of the already announced villains and some of Miles’ Spider-Verse counterparts including a 40-year old Peter Parker voiced by Jake Johnson and Gwen Stacy voiced by Hailee Steinfeld. Similar to in the comics, Miles Morales must take on the mantle of Spider-Man and save the city with the help of his new friends. After the screening, the cast and crew including executive producers Phil Lord and Chris Miller, director Bob Persichetti, actors Shameik Moore (Miles Morales), Brian Tyree Henry (Jefferson Davis), Jake Johnson (Peter Parker), and Luna Lauren Velez (Rio Morales) returned for a Q&A. Actor Shameik Moore who voices Miles Morales said this was his dream role and that he had even written down years ago in a journal that he wanted to play the character of Miles Morales one day. Brian Tyree Henry who voices Miles’ dad, Jefferson Davis, said he took inspiration from his own father who raised him as a single dad. He reiterated the importance of representation, saying he could have never imagined seeing a character like Miles when he was growing up. However, Miles isn’t the only Spider-Man in the movie. Jake Johnson voices an older, jaded Peter Parker from another universe who becomes a reluctant mentor to Miles. There will be even more Spider-Verse characters joining Miles throughout the film, including Spider-Ham and Spider-Man Noir, who were revealed in the second trailer recently released. Phil Lord did hint that if the movie was successful there were many different directions they could go for a spinoff because the Spider-Verse is so big. Spider-Man: Into the Spider-Verse premieres *thwips* into theatres on December 14, 2018.